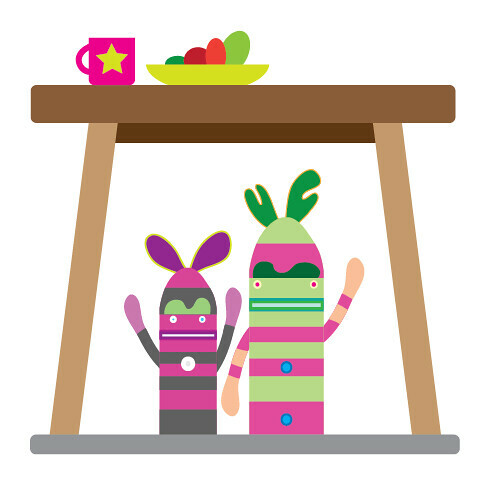 They are folks that live under the dining table. Sometimes they grow too big when Little Pinkxi feeds them the vegs that she should be eating. Red Carrabitto likes anything orangey/red like carrots, tomatoes and sweet potatoes while Green Carrabitto likes (you guessed it) the green stuff from broccoli to choy sum. Otherwise they are really harmless, fun (chips) loving creatures that prefer to sneak a cuddle from you wherever, whenever. Carrabittos first appeared in PaPaHugHug爸爸抱抱_08. Carrabittos Plushes are available in Store. Quick grab them both before they run away!